Allegations of forgery aired as Radhika recalls how life unravelled with her suitable boy. 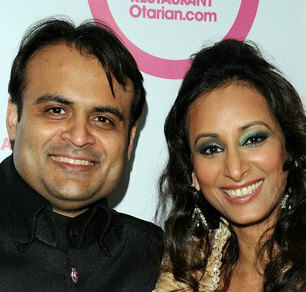 Pankaj and Radhika Oswal at the launch of Radhika’s vegetarian restaurant chain Otarian. Unlike PPB Advisory partner Simon Theobald who has been unable to recall many aspects of the Burrup Fertilisers receivership when quizzed, Radhika Oswal, wife of Burrup founder Pankaj Oswal and a major shareholder in her own right yesterday recalled with distinct clarity how the sum total of her involvement in the company’s affairs was mostly none at all. Appearing in the Supreme Court of Victoria for the first of what’s expected to be several days of cross-examination, the daughter of wealthy Hindu traditionalists denied having an active role in the management of Burrup Fertilisers, though her husband had made her a director, she owned 35 per cent of the shares and she regarded them as being worth at least $1 billion. The Oswals are suing Burrup’s banker, ANZ Bank, and PPB essentially for short changing them. They claim that after PPB was installed as receivers in 2010 it sold the business for less than half its value. They are demanding that the sale be voided and their shares returned or failing that, payment of $1.5 billion. The ANZ alleges that the Oswals effectively misappropriated $150 million from the company to splurge on property, motor vehicles and Radhika’s vegetarian restaurant chain, Otarian. Ms Oswal’s testimony laid bare how in 2009 the relationship between ANZ and her husband unravelled. The bank had discovered that European security guarantees underpinning the Oswals’ business empire and hundreds of millions of dollars in loans were allegedly forged by former employees with whom her husband had fallen out. Pankaj Oswal feared he’d face criminal charges. The ANZ demanded that the couple hand over their shares as security for their loans and provide personal guarantees.. But Ms Oswal refused. “I recognised this portion of my wealth as my stridhan from, as I understood it from my culture in India,” she said. The Oswal’s counsel, Garry Rich, SC, asked her to explain. Again Ms Oswal demonstrated an excellent recollection. “Stridhan is an Indian law which means to assert a woman’s financial independence once they are married because in very traditional Hindu families women are not allowed to work or study for their once they are married as was I and their sole financial existence and impact, livelihood becomes dependent on their husband’s and their husband’s family and we all know the issues that this can cause,” she began. “So this law aims to assert that any wealth, assets, land, property, family heirlooms, so much so that the jewellery that is put on a woman on her wedding day is hers and cannot be taken away from her in case of any disputes, unfortunate events, circumstances and it’s hers and only she has the right to sell it, even promises made during the marriage count as stridhan,” she said. “I found it ridiculous that I was being dragged into any of this and I didn’t understand why I was being made party to this,” Mrs Oswal said. 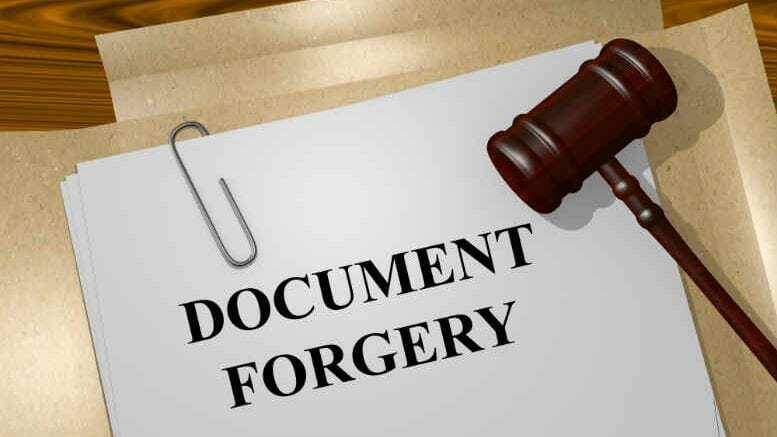 “I mean, I understand it involved my husband, but that doesn’t make me liable for his problems.” Despite her objections her husband handed her share certificates to the bank. “How did you feel at that time about the prospect of assuming a personal liability for US$928 million,” Rich asked. “It was completely unjustified and I thought they had gone nuts or something and I wasn’t going to be party to this,” Ms Oswal recalled. The hearing continues today. Be the first to comment on "Radhika’s recollection and a suitable boy"